INDIA - WON'T GIVE IT BACK..!! World cup 2015 is on the way. The defending champions are in worry about their players performance and fitness. They compete without the senior players. The young bloods struggle in overseas in the recent past days. Rohit sharma, the centurion in MCG in the first match against a\Australia is looks promising but his injury is a big worry for team India. He is ruled out from tri-series. it will be huge loss for India. On the other side Shikhar dhawan lost his flow and his poor form continues in the tri-series. Dhawan-Rahane combination not given a best yet. The middle order looks okay if raina,rayudy and dhoni give their best. India's biggest worry is their bowling attack. No bowlers in the squad are looks promising. Inexperienced bowling attack gives more pressure the batsman and fielders. They have to concentrate on their line and need to adopt the Australian track before the world cup starts. India highly relies on batsman especially Kohli need to give his best. India has the obvious match winners in the squad. 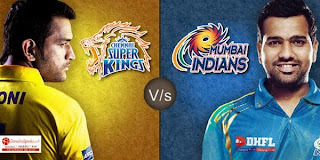 Rohit,Raina,Dhoni need to take a big effort to defend their crown. Indian fans give high expectations on the team hope they make their dreams alive.